Club Penguin Cheats by Mimo777 Club Penguin Cheats by Mimo777: Club Penguin Featured Fashions! Pendude2000 said: "I saw this guy Wolf 146, he wears awesome outfits sometimes he wears vampire wizard costumes." 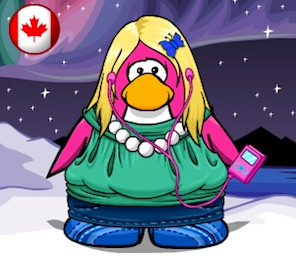 Mompenguin95 said: "I think that Natasha53333 has the best outfit ever! You should put her penguin on here too. Please, her outfit ROCKS! I have never seen better." Llama Phone said: "I think that A11766 has the best outfit ever! He has mixed new and old together and I think it looks really nice :)"
You can nominate your favorite penguin fashions here! Do you plan on dressing like a pirate for Rockhopper's Quest? Natasha53333 is my buddy on cp! You should check out Disturb3d, she has a really cool and unique style that I have not seen anyone else wearing before. I like Natasha53333's outfit. It actually looks pretty cool. THE FIRST PICTURE IS DEFINITELY COOLEST! mimo, notice that today is thurday and we dont have our newspaper? The Club Penguin Field Op Number 71 Cheats! Club Penguin Rockhopper's Quest FREE Item! Club Penguin Penguin Loading Update! Club Penguin Time Issue #332 is Here! Club Penguin February 28th Featured Iggies! Club Penguin Support Twitter Page! Exclusive Field Op Message Glitch...Again! Club Penguin Pin Cheat - HELM PIN! Club Penguin's Rockhopper's Quest Cheats! The Club Penguin Field Op Number 70 Cheats! Club Penguin Time Issue #331 is Here! Club Penguin Start Up & Home Screen! Club Penguin You Tube Update! Club Penguin Coins For Change Book! Club Penguin February 20th Featured Iggies! Club Penguin Rockhopper's Quest Sneak Peek Video! The Club Penguin Field Op Number 69 Cheats! Club Penguin Home Page & Start Screen Update! Club Penguin Puffle Party Invitation! The Vikings That Time Forgot Cheats... Take Two! Club Penguin February Membership Update! Club Penguin Pin Cheat - CAMERA PIN! The Club Penguin Field Op Number 68 Cheats! Club Penguin's Rockhopper On His Way! Club Penguin Time Issue #329! The Vikings That Time Forgot Cheats! New Club Penguin Party Coming This Month! Club Penguin Rockhopper's Quest Start Up Screen! Safer Internet Day Q & A! 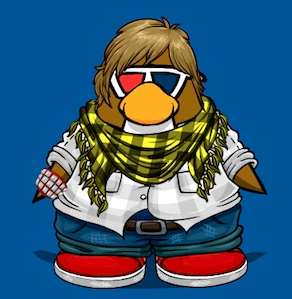 Club Penguin Fashion By Happy77! Club Penguin Fashion Show Video Blog! Club Penguin February Parent Update! The Club Penguin Field Op Number 67 Cheats! 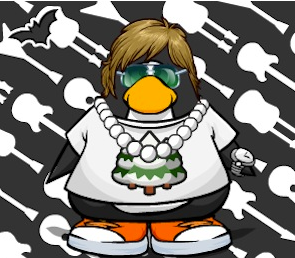 Club Penguin Fashion Show and FREE Items... NOT! Club Penguin Time Issue #328 is here! Club Penguin Fashion Show Sneak Peek! Club Penguin Friend Suggested Featured Iggies!